Roof cleaning may be the last thing on your mind when it comes to maintaining your roof. But in case you didn’t know, it’s one major task you must not take for granted. Remember that your roofing system is a huge investment. It protects your entire family from harmful weather and keeps everyone comfortable inside. You can prolong the lifespan of your roof. All you need to do it to make sure that it’s free from debris, dirt, plant growth, and other objects that weaken its material. In this article, you will discover everything you need to know about roof cleaning. Learn the reasons why you should do it, how often to do it, and the best way to keep your roof clean. Moisture and bacteria that thrives on your roof cause it to deteriorate and have a shorter lifespan. A lot of homeowners think that there’s nothing they can do about the black streaks on their roof. They go on to replace them when their roof simply needs cleaning. What happens with your roofing materials when you don’t maintain them is that they deteriorate. If you didn’t know, algae and moss eat away the limestone filler agents in your shingles. As soon as you find plant growth, call a trusted contractor. According to Angie’s List, roof cleaning prolongs the life of shingles for up to 25 years. 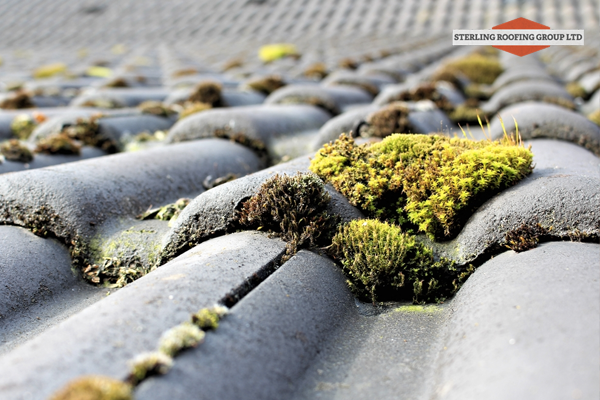 Algae and moss patches on your roof aren’t just damaging, they look unsightly. This is especially true if your roofing system has a light color. Stop allowing your home to look horrible. Roof cleaning gives your home a brand new appearance. Don’t make the mistake of prematurely getting a brand new roof. If you want to make it beautiful again, contact roofing contractors that offer roof cleaning services. These professionals will make sure that your roofing shingles will gain back their original color and beauty. A pile of organic materials on your roof make it an attraction for birds and insects. These pests use algae for their nesting ground. Not only that, birds will peck on the surface of your roof. They’ll leave scratches and holes. Once moisture and water enter your home through the damaged shingles, your home’s interior will be affected as well. Mold that thrives on your roof spreads into your home and cause allergies and other health concerns. Also, indoor mold destroys your wood furniture. When this rots, this will again attract insects like cockroaches and beetles. Do you notice rising utility bills and temperatures inside your home? Roofs should normally be able to reflect the sun’s rays. However, algae growth on your roof interferes with this important function. As we’ve mentioned earlier, algae and moss feed on your shingles to decrease their effectiveness. Most homeowners do not realize it but the organic material on their roofs is the reason why their energy bills have risen. Roof cleaning increases a roof’s solar reflectance. You can be sure that your family will feel more comfortable and enjoy higher savings. Now that you know the benefits of roof cleaning for your home, you may be wondering whether your roof is due to be cleaned. You only need to visually inspect your roof to know that it’s time for some maintenance. Do you see moss growth? Black streaks? Leaves, branches, and other debris? Birds on top of it? Ideally, you need to do roof cleaning once a year. However, if you have a newly installed roofing, it will require less cleaning – every two years. It would be best to perform this maintenance task during summer months. This gives your roof enough sunshine and ensures that your roof surface is dry and safer to walk on. Walking on your roof is very dangerous. A dry surface prevents slip and fall injuries. What you need to clean your roof are the right weather conditions, appropriate cleaning materials, and the right techniques. We advise you against doing this task yourself if you don’t have the knowledge, skill set, and experience to do so. 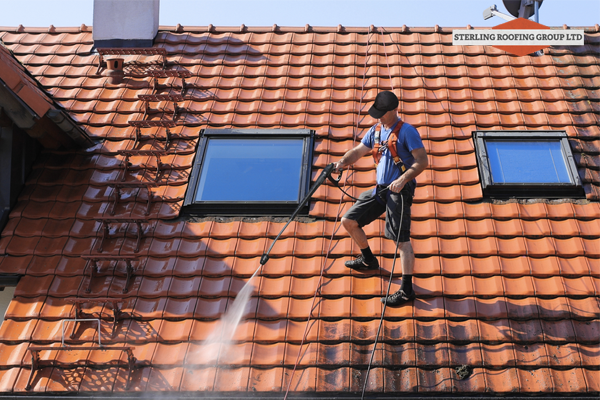 There are two main methods to clean your roof, namely: Pressure washing and soft washing. In pressure washing, highly pressurized water is used to remove moss, stains, dirt, and grime. On the other hand, soft washing or “chemical washing” is used for more delicate roofing materials like shingles. It is best to clean your roof in sections. Divide your roof into smaller areas and focus on one section at a time. This will not only ensure that you tackle all the areas of your roof, but will also give a section enough time to dry. You need to have a dry area to stand on while you clean. Roof cleaning must always be part of your home maintenance work. It benefits your home by keeping it safe and beautiful. The best thing to do to ensure an excellent roof cleaning job and get the best results is to hire professional roofing contractors. They know the right cleaners to use and proper cleaning techniques to preserve the life of your roof. 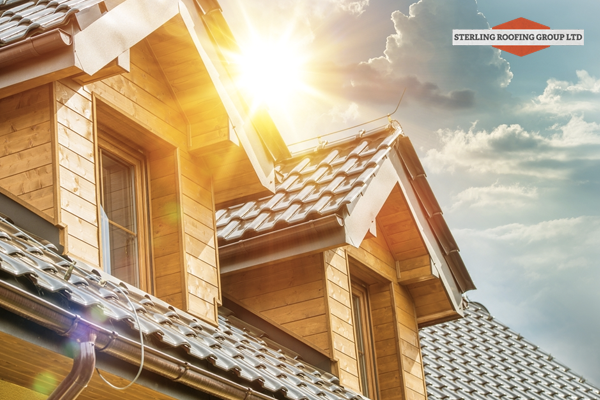 If you want to know more about roof cleaning or are looking for residential roofing services, choose Sterling Roofing Group. We’re here to meet your roofing needs.